| Your at-a-glance rating from 1-100 for a place's kid-friendliness. Our summer intern Maia Jenkins has created an Infographic based off KidScore data collected across the USA. Here’s the top kid friendly cities, restaurant chains, stores, and hotels across America. Also included are top amenities that families seek. Las Vegas is known for as an adult playground but also has some kid friendly options that won’t bust the budget. Las Vegas is also a good hub to fly into, rent a car, and explore the best of the South West. Here’s some top picks of places not to miss for families traveling to Vegas with kids. 1. Eat – Pink Taco Mexican Restaurant – Yummy, Kid & Budget Friendly Mexican. 2. Stay – Four Seasons Hotel – Indulgence for the whole family, even those with babies! 3. See – Lied Discovery Children’s Museum – For those with young kids! 4. See – Springs Preserve – Great Outdoor Fun! 5. See – Grand Canyon and Hoover Dam – For families with a vehicle or wanting to venture out of town. Got a kid friendly place to recommend in Las Vegas? Let us know by writing a review at http://www.kidscore.com/writeReview. The Chicago area is great for kids cultural venues year round. In last few years restaurateurs have started improving their eateries with kid friendly features including kids menus and kids eat free options. If you plan on visiting multiple attractions or being in the city for over 3 days we recommend the Chicago CityPass. KidScore has just added over 2 thousand places in The Windy City. Here’s a sampling of our highest (Kid Heaven) rated, are your favorite kid friendly finds on the list? Got a favorite place you love? Find and review it on KidScore. Atlanta is one of the most kid friendly metro areas in the South with eateries and attractions for children of all ages, from toddlers to teens, including many free activities and public parks. Check out the world’s largest aquarium, explore several kid friendly museums and enjoy some of the unique only in Atlanta attractions, most suitable for families to enjoy together. KidScore Recommends – If you are planning to be in Atlanta over several days and visit more than 2 attractions, you may be able to save and get a deal on admission charges by purchasing the Atlanta CityPass. Here’s our top kid friendly Atlanta eateries, activities, and attractions ranked by their KidScore. KidScore has over 1300 places in the Atlanta area want to find more? Check out KidScore before you go including our mobile site for those times when you’re on the road. We’re excited to announce the addition of 200 new KidScore places for Spokane, WA. 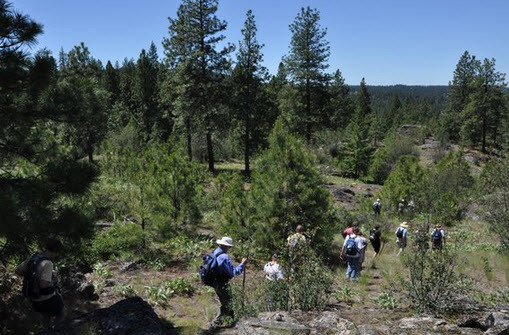 Spokane is one of the most kid-friendly places in the US. 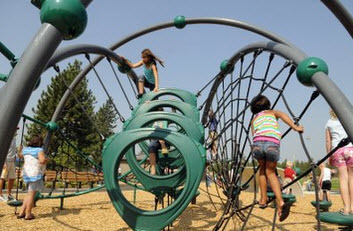 Are you a Spokane parent with a favorite place you like to take your little ones? Tell us about it on KidScore or write a review. I’m happy to announce that after months of work we just released a mobile version of KidScore. Although we still have apps on our road-map the mobile site was prioritized higher because it doesn’t require a download and works on most smartphones, and is location aware. Quickly find the KidScore of nearby eateries, attractions, shopping, and much more in list or map view. Due to popular demand by users we also added a color coding system to our scale to augment the scores and let busy parents quickly identify the most kid friendly places. Since releasing the website in June we’ve doubled the number of KidScore places from about 60K to over 120K, and accuracy in major cities across the US through over 7K KidScore reviews. The KidScore mobile site is accessed at m.kidscore.com. Users going to KidScore.com on a mobile device will automatically be redirected. Don’t hesitate to send me feedback and feature suggestions. KidScore users have helped us identify thousands of local kid friendly gems. One thing we’re finding is that many of these places are also chains with standardized kid-amenities and service at every location. Here’s our top 20 most kid friendly chain restaurants, hotels, and stores sorted by their Average KidScore (Note KidScore for individual locations can vary). Every IKEA is family friendly. Amenities include drop-in child care staff, a café that serves all the IKEA classics kids love, like Swedish meatballs, chicken, custard, frozen yogurt on a cone for $1. A great place to kill a few hours on a gloomy day and find items to furnish the whole house, IKEA has clean bathrooms, changing tables, high chairs, and play areas. Not to mention lots of child furniture, décor, and toy selections that tend to be modern, green and price friendly. PF Chang’s China Bistro is one of our top kid friendly chain restaurant picks. The service is kid friendly with servers engaging children, bringing out crayons without being prompted. Restrooms have changing stations, the kids menu has healthy options, and the server brought out child chopsticks. For a chain the food was surprisingly good and flavorful. We recommend the lettuce wraps, edamame, Ahi Tuna, Pepper Steak, and Mu Shu Pork. Gluten-Free options available. Plenty of high chairs and booster seats to accommodate large crowds of families. Great Wolf Lodge features an indoor water park spanning more than 56,000 square feet. Outside the 84-degree indoor waterpark, the Great Wolf Lodge offers a Kid Spa, nightly Story Time, and MagiQuest attraction where kids can battle a dragon with a “magic” wand. Great Wolf has something for the entire family, from the interactive learning Cub Club ® for the little ones, to the gr8_space for teenagers and Northern Lights ™ Arcade for kids of all ages, you and your kids are sure to have fun at Great Wolf Lodge. Great Wolf’s water park includes exciting slides for the adrenaline junkies in your family and gentle sloping water attractions for the little ones. A toddler area and more extreme tube rides ensure that kids of all ages will find something fun and exciting to wear them out. Great Wolf Lodge is an all-inclusive attraction designed to provide affordable lodging, great food, fun, and fantastic family memories for every guest. Activities for Kids: Little Travelers Get Big Perks For little ones, staying with us is big fun. That’s because through our Kimpton Kids program, we offer a bunch of special services and amenities for children (we’re suckers for ear-to-ear grins on tiny faces). And for parents, we help make family travel easier by providing some practical but difficult-to-pack items at no charge. What’s more, our Front Desk employees know tons about the best kid-friendly attractions in Chicago so you can make the most of your stay. Here’s what’s in store for family vacations: Cribs and play yards to use during your stay (please request when making your reservation) High chairs and booster seats for in-room dining and at Atwood Café In-room child safety kits that include outlet covers, toilet latches and night lights Children are greeted with a Kimpton Kids welcome gift Comment cards just for kids, so they can pipe in with thoughts about their stay Child-size animal-print robes available for loan or purchase A list of kid-friendly places and activities in the area, including parks, restaurants and enrichment classes Accredited babysitting services Local or car rental companies offering child safety seats Rental of additional items, such as strollers. Olive Garden lives up to its’ slogan: “When you’re here you’re family,” by welcoming each guest and treating people with care. Almost immediately after being seated, diners are provided with family-style endless salad and breadsticks, which take the edge off hunger. Crayons and an activity page, as well as the salad and breadsticks keep the kids happy and entertained while the kitchen cooks up their food. Every Olive Garden location comes equipped with high chairs and changing tables as well as an affordable kid’s menu. Most locations have on-site parking as well as gluten-free entree options. The Old Spaghetti Factory is quick to become a family favorite because their service is fast, friendly and their food is delicious. Adult entrees include a choice of soup or salad before the meal, and a scoop of ice cream for dessert. Their kids menu boasts an incredible macaroni and cheese, and includes a choice apple sauce or salad before their meal, and a juice ice cream bar or scoop of ice cream for dessert. This restaurant is perfect for a gluten intolerant pasta lover. All of their classic pastas may be substituted for gluten-free pasta for no extra cost. 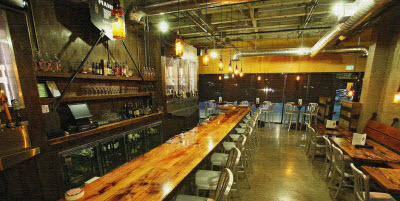 The Old Spaghetti Factory also provides high chairs, changing tables and on-site parking. First Watch daytime cafe is a fun place to get breakfast or lunch with the kids. The restaurant is open year-round between 7a.m. and 2:30p.m., excluding some holidays. Kids coloring sheets as well as an affordable kid’s menu make First Watch a great choice for hungry families on a budget. Each kid’s meal costs $4.49 and includes a free drink, and many entrees include fresh fruit or fun foods like chocolate chip pancakes. High chairs and changing tables are standard fare at First Watch, as is on-site parking. Nutrition information as well as an extensive gluten-free menu makes First Watch a great place to dine for any diet. The Cheesecake Factory is a great place for family dining. The kitchen makes almost everything from scratch, so it is easy to modify your orders to your children’s taste, and there are many gluten-free choices. Although the restaurant doesn’t offer crayons and a coloring sheet, there are changing tables in the bathrooms and high chairs available for the little ones. Some locations have on-site parking, and others have street parking or pay-to-park garages. Kids go crazy over the Cheesecake Factory’s chicken fingers, pizza, and macaroni and cheese, which are only a few of the entrees available on their kids menu. Don’t forget to try a piece of their unbeatable, melt-in-your mouth cheesecakes! Red Robin’s gourmet burgers are delicious and the atmosphere of the restaurant makes Red Robin the perfect place for family dining. The restaurant does get rather loud and busy during lunch and dinner rushes, but their affordable food, kid’s arcade, coloring sheets and kids menu keeps kids entertained during the wait. Children love Red Robin’s mac and cheese and chicken fingers, and parent’s love Red Robin’s drink specials and bottomless fries. Changing tables are available in all women’s bathrooms, and high chairs are available for the little ones. Many locations have on-site parking as well as gluten-free buns. Menchie’s serves delicious frozen yogurt for an affordable price. Most locations provide crayons or toys for kids, their fast service and delicious flavors are worth the short wait. Kids love fun flavors like gingerbread man, cookies and cream, and orange creamsicle. Possible cross-contamination means Menchie’s cannot be considered completely gluten-free. Frozen yogurt is a healthier substitute for ice cream, and Menchie’s makes sure their frozen yogurt packs a flavor punch! High chairs, changing tables and on-site parking are standard accommodations at most Menchie’s locations. Buca Di Beppo is the perfect place for celebration and family dining. Their prices are moderate, but their food has extraordinary flavor. This restaurant serves up delicious italian food family-style, but also offers a kids menu for children 10 years of age and under. The restaurant provides children with crayons and a coloring sheet to keep kids entertained while their food is prepared fresh in the kitchen. Buca Di Beppo features a welcoming family atmosphere, conversational decor, changing tables, high chairs, accessible parking and gluten-free options. Crayons, kids menu, high chairs, and changing stations are standard at all Applebee’s. Applebee’s also has healthy menu items and servers are fast, friendly and willing to bring kids food out first. They serve good steaks, burgers, and Asian stir fry which can be made vegetarian. Macaroni Grill is characterized by its fast service, attentive staff and traditional Italian cuisine. Parent’s love Macaroni Grill’s classy atmosphere and house red wine, while the kids are drawn towards Macaroni Grill’s kids menu and coloring sheet. Their kids menu offers basic Italian foods but nothing fun or interactive, and menu items cost between $5 and $7. Kids love Macaroni Grill’s handmade meatballs, and parent’s love the fact that most kids menu items come with broccoli and a free beverage. There are some gluten-free meal options as well as vegan and vegetarian choices. High chairs, changing tables and on-site parking are standard fare at the Macaroni Grill. Kids eat free with purchase of an adult entree on certain days depending upon location. Fred Meyer- Fred Meyer gets high ratings for kid-friendly amenities, price, sustainability, and being a one stop shop with grocery, clothes, toys, garden, home products, and Fuel. (Saving busy moms time, energy, and gasoline). Most stores offer free on-site child care for up to an hour in a clean, secure play area. They have a nice bracelet system to ensure children are not released to anyone but the person who dropped them off. The play area is in located in the front of the store. Both male and female restrooms have changing tables. We like that Fred Meyer has family friendly checkout isles without the candy and other kid temptations and an organic section with good deals on bulk items. Some store have green features like sky lights that work with lights that turn off on sunny days and electric car charging stations that are free. High chairs, children’s menu, and kid friendly staff are standard at every Chevy’s. Another kid friendly feature is that kids eat free at most on Tuesday’s. Limit two children per 1 paying adult customer. High chairs, crayons, and plenty of pizza options to fit any picky pallet. Gluten free options available. Most locations have changing stations. Starbucks gets a high KidScore for coffee shops. Most locations have healthy food and snack options like hummus platter and Panini’s, yummy baked goods like blueberry scones and chocolate brownies, kids apple juice, hot chocolate (that’s lukewarm), nice ambiance with some Starbucks locations having high chairs with wheels that parents can easily move, and many have started stocking a box of games and kids books. Almost all US locations have changing stations in restrooms that are kept clean. Most stores have changing tables, plenty of kid gear and clothing for the outdoors. Over a dozen have play areas, climbing walls, or places to try out gear. Great place for families with an active lifestyle.